This skirt is so perfect for a holiday party. I think it will be on my sister’s Christmas list. She loves these skirts. I will be lending it to her soon I’m sure. 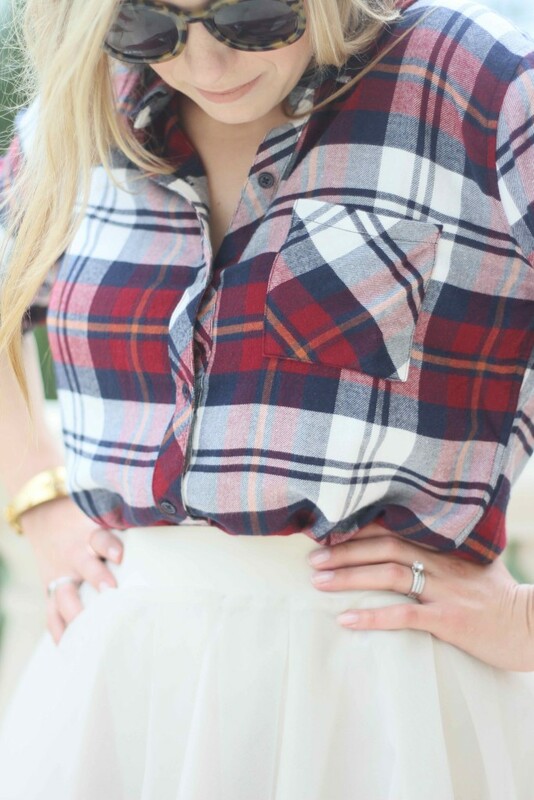 I really like the mixing of styles in this outfit between the really girly and the flannel shirt. It reminds me of when I was a kid and was a total tomboy, believe it not. As I got older, I became much more girly. Sometimes I think my fourteen year old self would not be impressed with how girly I have become. I am still very into sports but I’m not asking to shop in the boy’s section anymore. Outfits like this make me think of those two styles meeting. I hope you all have a great weekend and thank you for reading! 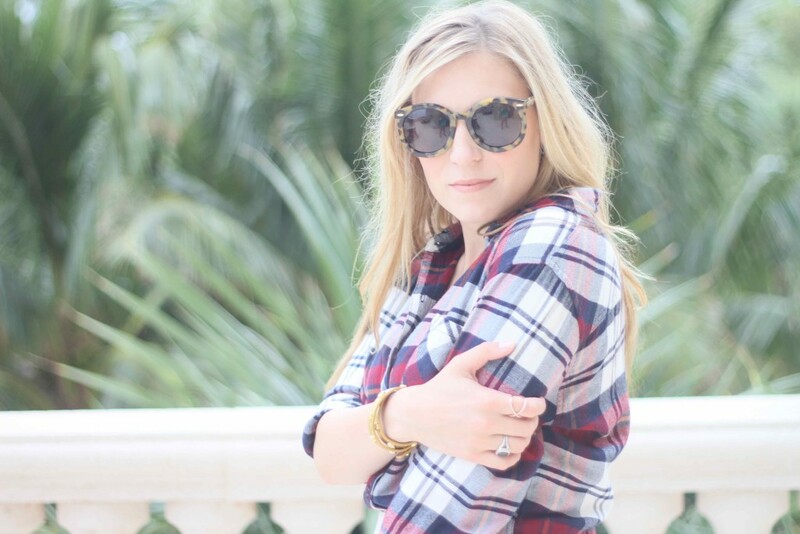 cute and girly look, love your plaid. What a cute combination! 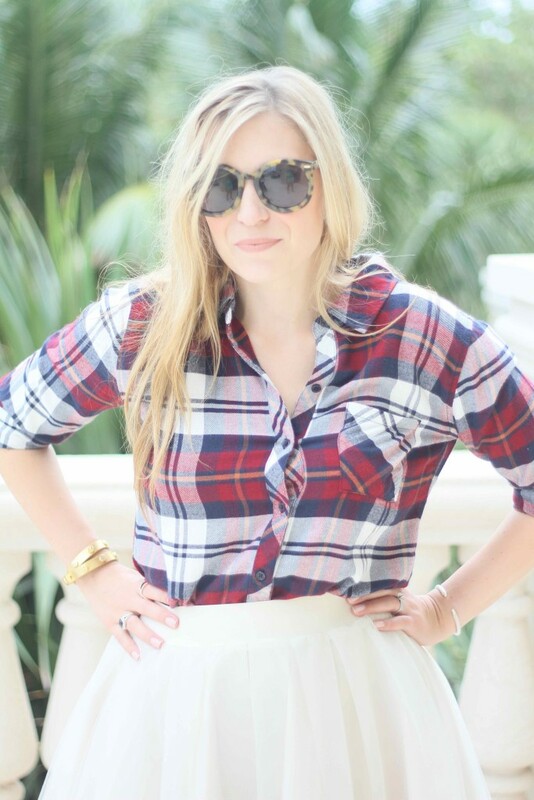 Loving the plaid with the fun skirt! Have a great weekend and Happy Halloween! I love the plaid & tulle! So cute! I like the boots and sunglasses best. This is so cute! 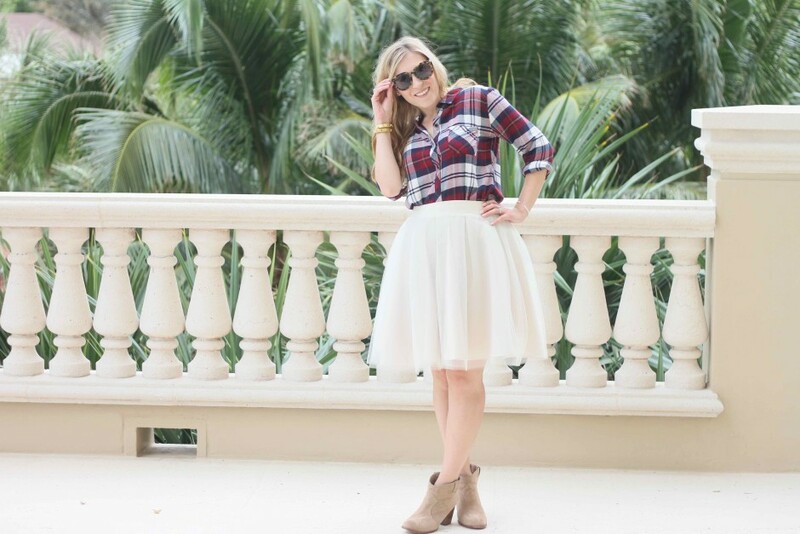 I love fall outfits with plaid, and the tulle adds the perfect girly touch! I love that outfit! 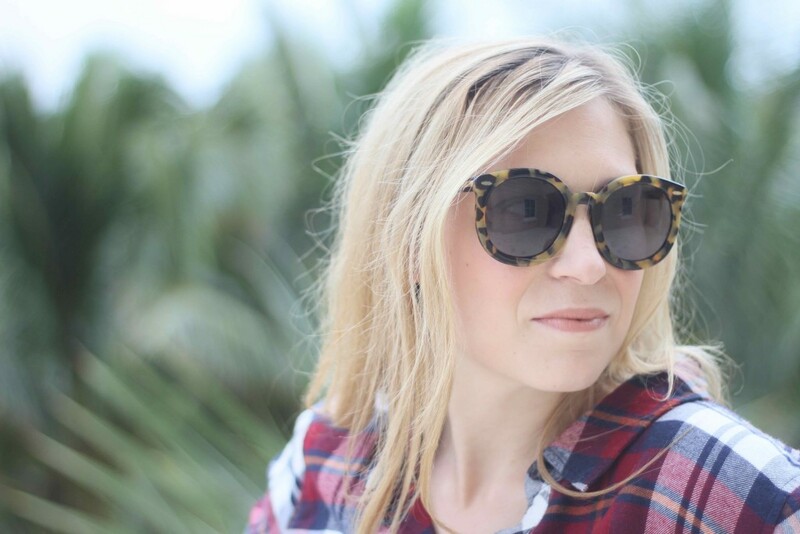 That flannel shirt is so adorable!